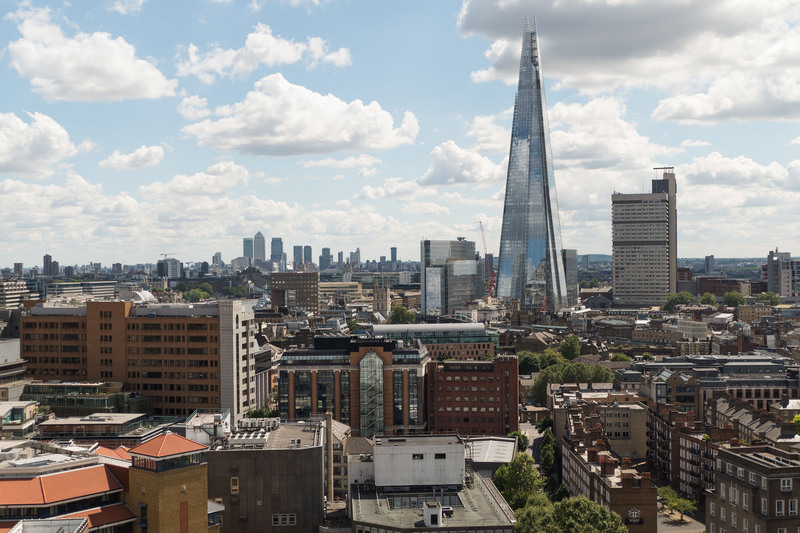 High rise developments are often exclusive private spaces, as attested by the current glut of luxury flats, hotels and offices rising across Inner London. 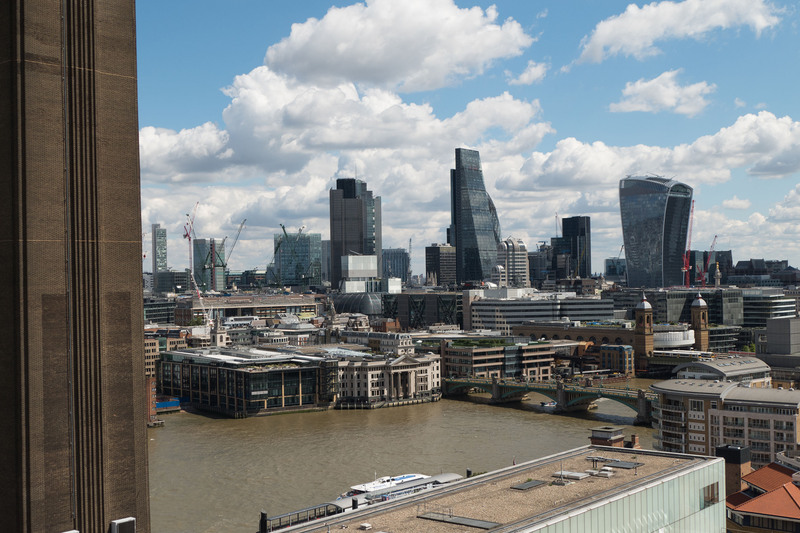 Even recent developments advertising their public space credentials have come up short, with for example the Shard’s fantastic views costing £25 entry fee, or the Walkie-Talkie’s ‘skygarden’ amounting to an expensive restaurant and some pot plants. 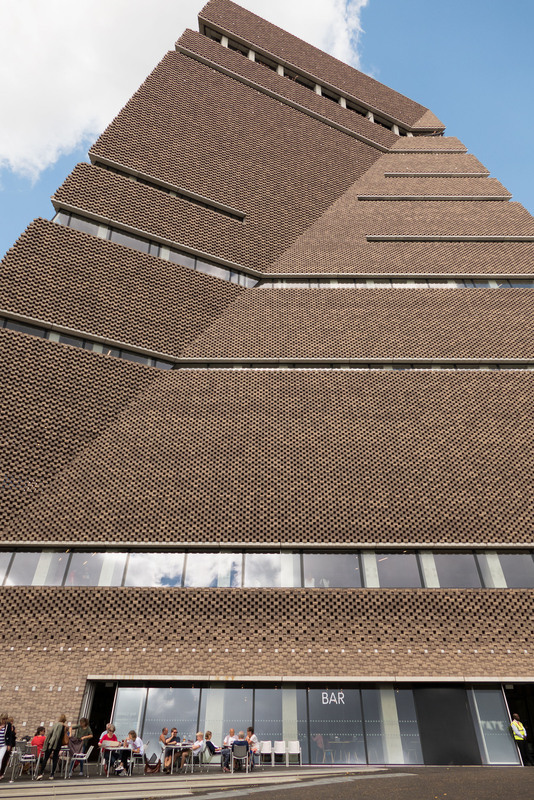 It’s wonderfully refreshing therefore that London’s newest tower is dedicated to public space. 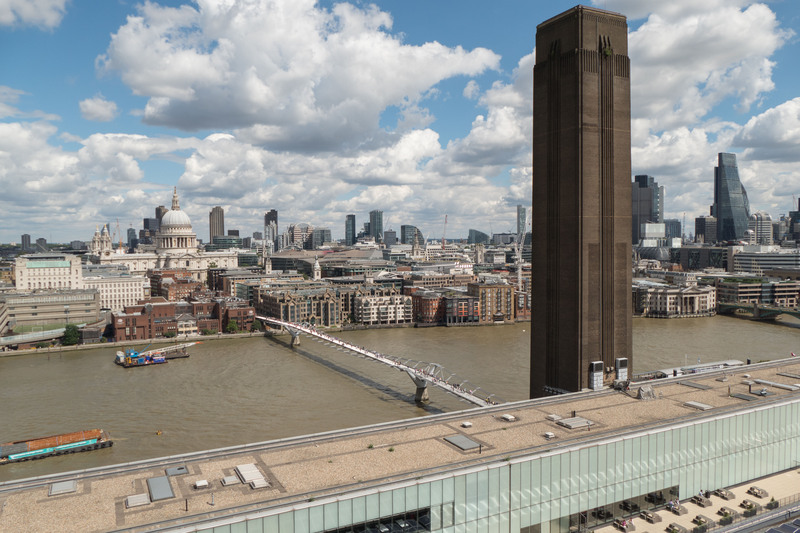 Tate Modern’s Switch House extension includes free galleries, spaces for contemplation and discussion, and one of the most spectacular 360 degree viewing locations in London. It all adds up to a big improvement to what was already a very successful gallery. The Switch House exterior sits right next to brightly coloured flats and office developments. 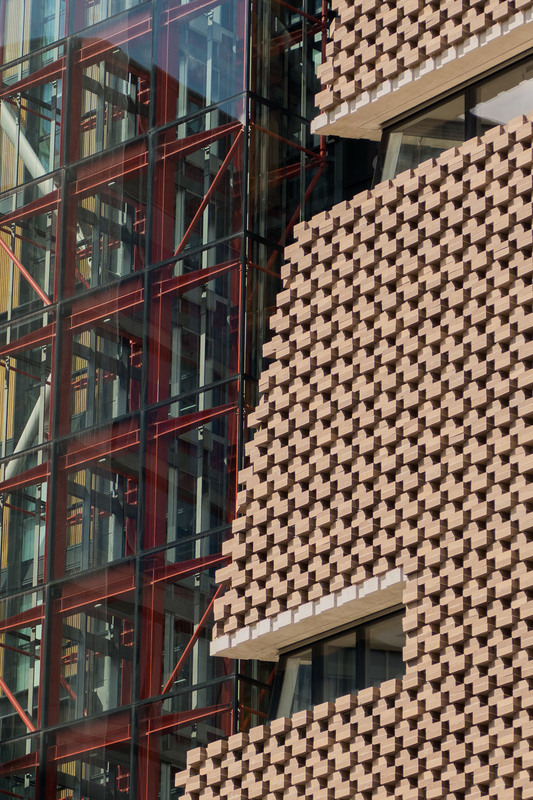 Architects Herzog and de Meuron have opted for a bold angular form that holds its own in this contested space, while still complementing the original Bankside power station through the use of a brickwork lattice. 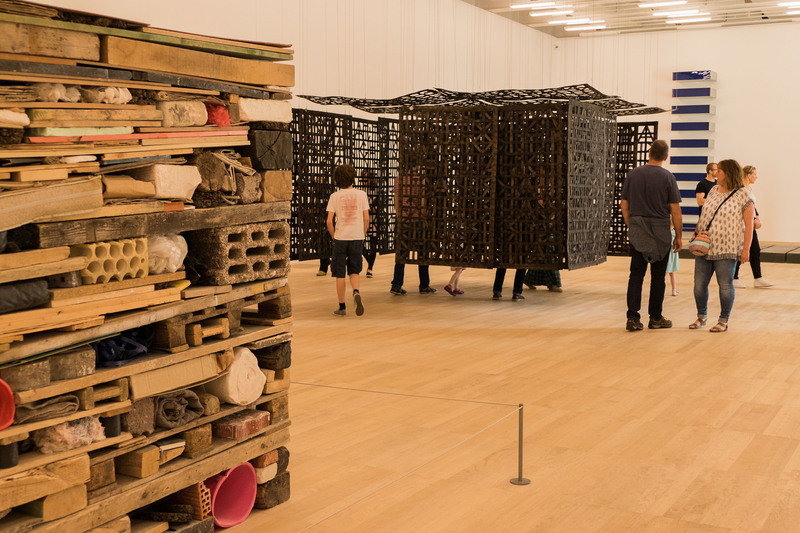 The gallery floors are spacious, with the exhibits focusing less on blockbuster artists, and more on international voices, sculpture and performance. 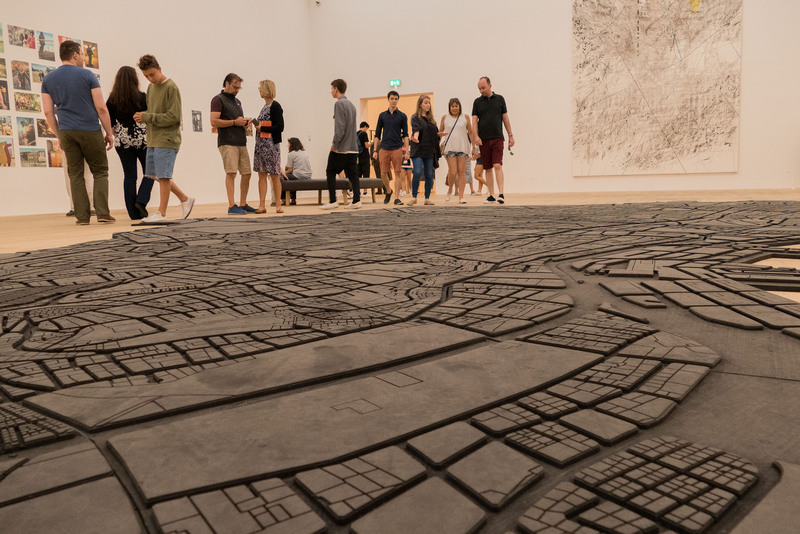 For example the Living Cities gallery features works from the Middle East and Africa. 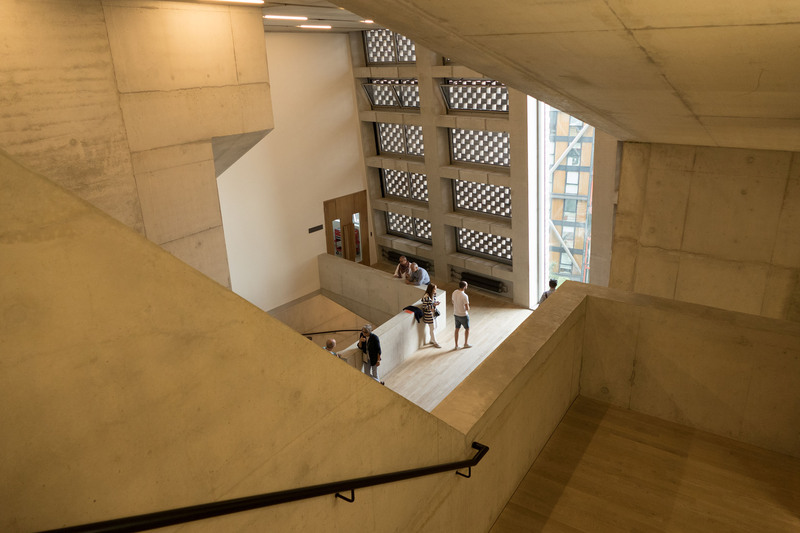 The winding nature of the tower staircases also creates many intimate and relaxing spaces, which contrasts nicely with the busier open galleries next to the turbine hall. The viewing gallery presents a superb panorama over the City, St Paul’s, East and South London. 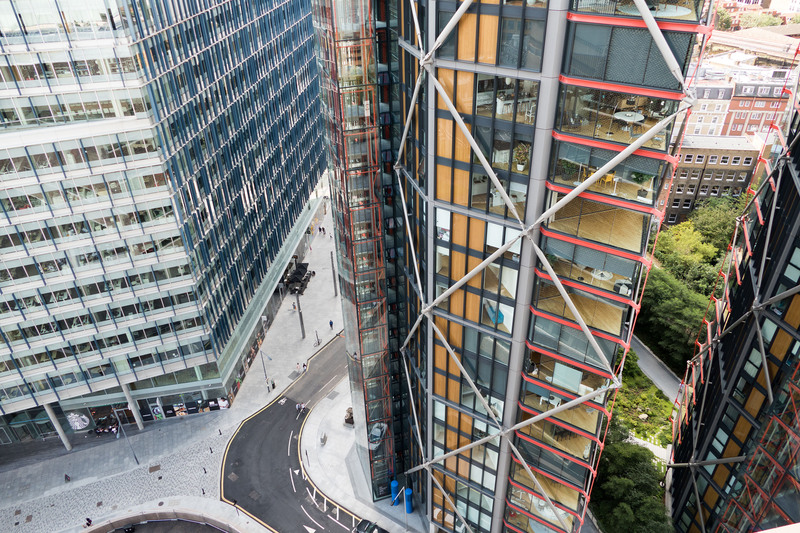 It’s an amazing perspective, and quite unique compared to other skyline views, particularly with Bankside tower looming just in front, and no glass barriers present. Thew view westwards is more obscured from developments around Blackfriars, but is still fascinating. 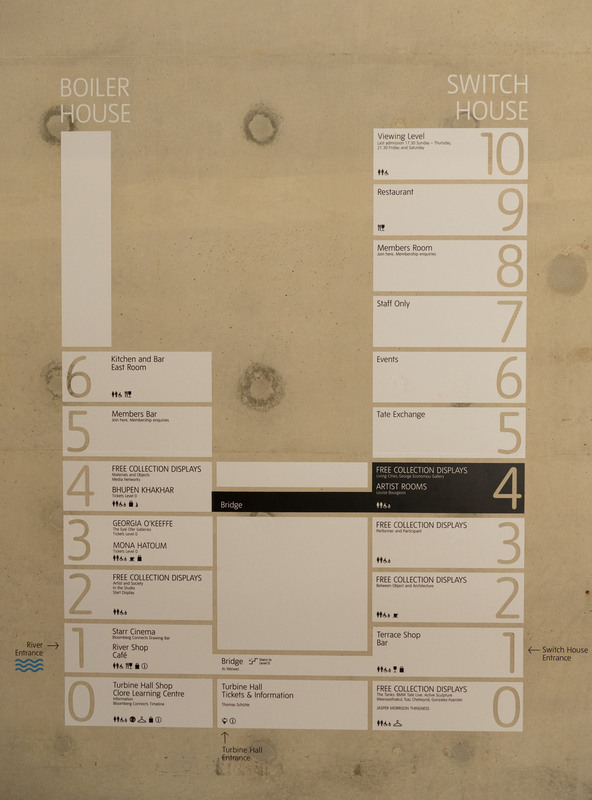 Here’s the how the the new tower links with the existing galleries in the internal plan. 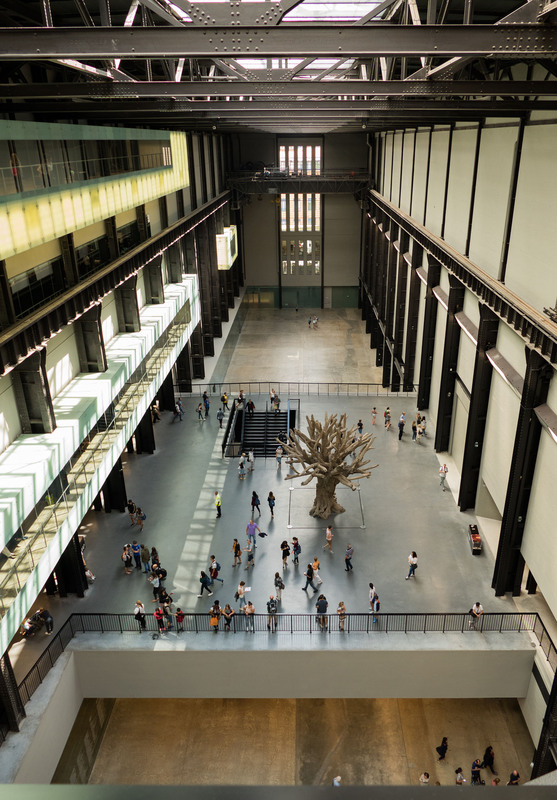 There’s even a bridge across the turbine hall. High-res versions of these photos are on flickr.